Pearl: Mama came home from volunteering tonight with this picture. Pearl: He he he! 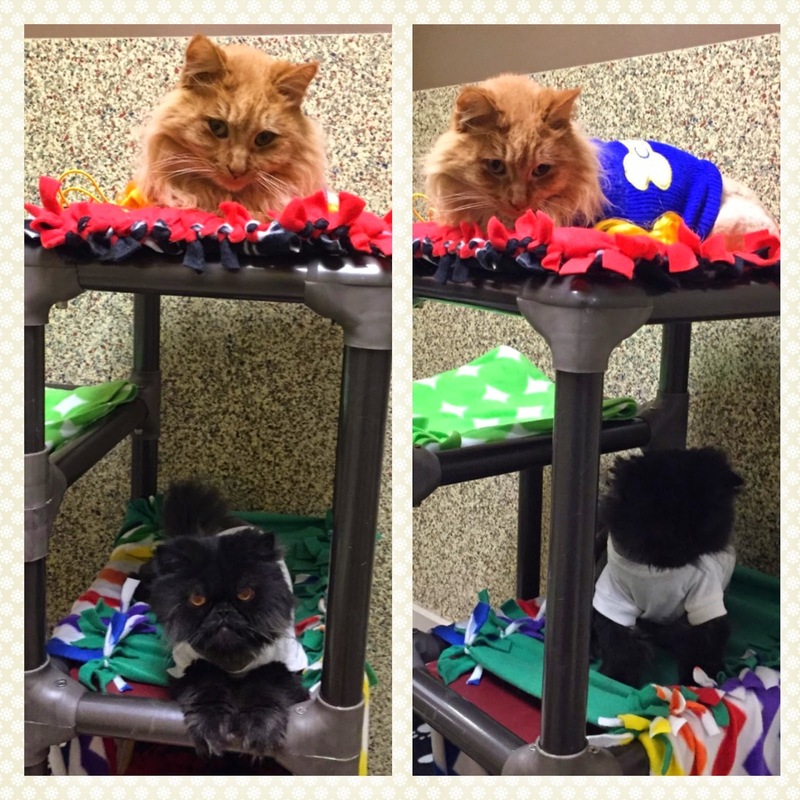 Two boys at Great Plains SPCA, Seymour and Oscar, got furcuts today. AND to add to their humiliation they are wearing sweaters! Ha ha ha... (rolls off the bed laughing). Thank heavens I don't have to get furcuts! Wait...are those scissors? RUN!